Join us for a day of metalsmithing and jewelry creation. Our instructor, Lee Johnson of the former Lee Johnson Gallery in Clayton, has been metalsmithing and creating jewelry for over 36 years. She designs and manufactures scarf pins, earrings, neckalces and bracelets made of gold, sterling, bronze, copper, melted bronze on copper, silver plate, and gemstones. 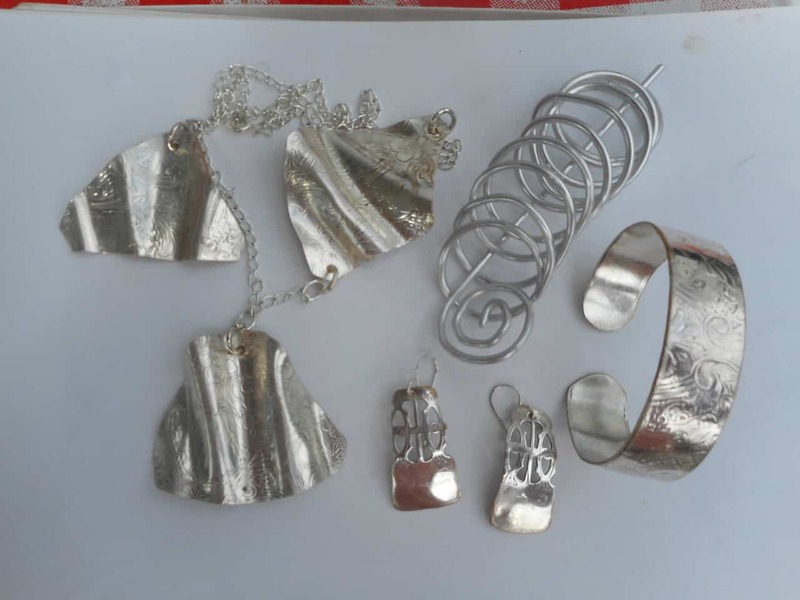 In this class you will learn jewelry creation techniques such as cutting metal, filing, shaping, pounding and creating earrings, cuff bracelets, necklaces, and scarf pins. Materials and tools will be provided. Please bring a lunch as lunch will not be provided.